Php is the popular web development choice of most developers and this language is used on world’s some of the most popular website like Facebook. If you want to learn this language then you must read some of the best book for beginners on Php. Here we are presenting a list of Php books which would be very helpful for anyone who is thinking to learn this language. By Lynn Beighley and Michael Morrison. This should be the first book for any person planning to learn PHP. Head First series books are targeted for beginners and they presents all the concepts in very understandable manner using handmade sketches, diagrams and some comics book like features. Packed with real-world examples, this book teaches you all the essentials of server-side programming, from the fundamentals of PHP and MySQL coding to advanced topics such as form validation, session IDs, cookies, database queries and joins, file I/O operations, content management, and more. Throughout the book, you’ll build sophisticated examples including a mailing list, a job board, and an online dating site. A new edition of this book is going to release in December this year. By Luke Welling and Laura Thomson. Another book for beginners on PHP and MySQL. The structure of the book, the sequence of the material, and the technical explanations are excellent. This practical, hands-on book includes numerous examples that demonstrate common tasks such as authenticating users, constructing a shopping cart, generating PDF documents and images dynamically, sending and managing email, facilitating user discussions, connecting to Web services using XML, and developing Web 2.0 applications with Ajax-based interactivity. Book is divided in parts. First and Second part is dedicated to PHP and MySQL. Part 3 is on developing E-Commerce application and applying security, authentication and implementing Secure Transactions in it. Part 4 covers advanced PHP techniques like Network and Protocol Functions, managing sessions and more. Last part is on building practical PHP and MySQL projects which includes projects like building web based email service, web forums, generating PDF files, web services and web 2.0 applications with AJAX. Current Edition is 4th edition. 5th edition will be available from January 2016. For beginners, this is the best book after Head First PHP.This book takes a practical approach to teaching you how to build dynamic content for your website using PHP. You’ll quickly get started with practical PHP projects, learning how to build a dynamic image gallery. By the end of the book you’ll will have developed a personal blog complete with a password protected admin module. By Kevin Yank. This book understands the problem of beginners so it is just walkthrough of the process of learning. This book covers everything from installing PHP & MySQL under various operating systems like Windows, Linux, and Mac through to building a live web-based content management system. This book covers Apache along with PHP and MySQL. Apache is the widely used web Server application which hosts PHP and other language websites. This book guides you through creating your own sites using the open source AMP model. You discover how to install PHP, Apache, and MySQL. Then you create PHP Web pages, including database management and security. Finally, you discover how to integrate your work with e-commerce and other technologies. This book is nearly outdated although it’s easy to understand. It teaches all those basic concepts which are still used per day by programmers. Beginning PHP6, Apache, MySQL 6 web development is the advanced version. 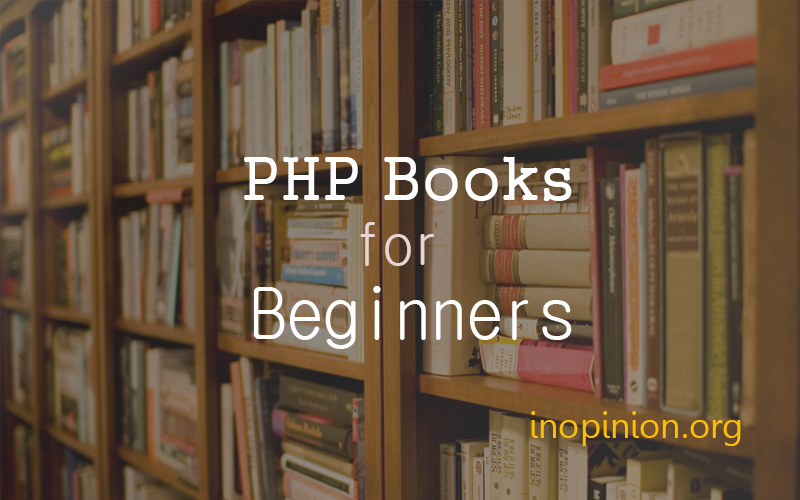 This is what all we got in beginners section in our research of best PHP books. With the software programming world, which rapidly changes, books on those technologies also changes. We are tracking those changes here and we’ll update you as soon as we get any updated information. If you have any suggestion, please let us know via comments.